Results: 1 to 10 of a total of 419 results. Great Florida Cattle Drive 2016 rider, yes I spent a week riding trail, herding 500 head of cattle, sleeping on the ground in freezing temperatures and rain, crossing flooded creeks, swamps and flooded prairie... and LOVED every second of it!! I believe that if my horses or my dog don't like you then we aren't gonna work out, not that they're picky, but they sense things we humans don't. I just LOVE horses as i think they are beautiful, intelligent, independent animals! I also train my own rodeo horses (time permitting?). appalousa The history of native american beginning horse culture, from spanish , to Nez Perse etc. 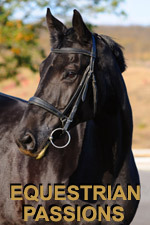 is a part of my passion for the horse. Does loneagle belong in this group?